Home → Blog → Digital Tourism kicks off ! The project Digital Tourism has started at the beginning of the year. 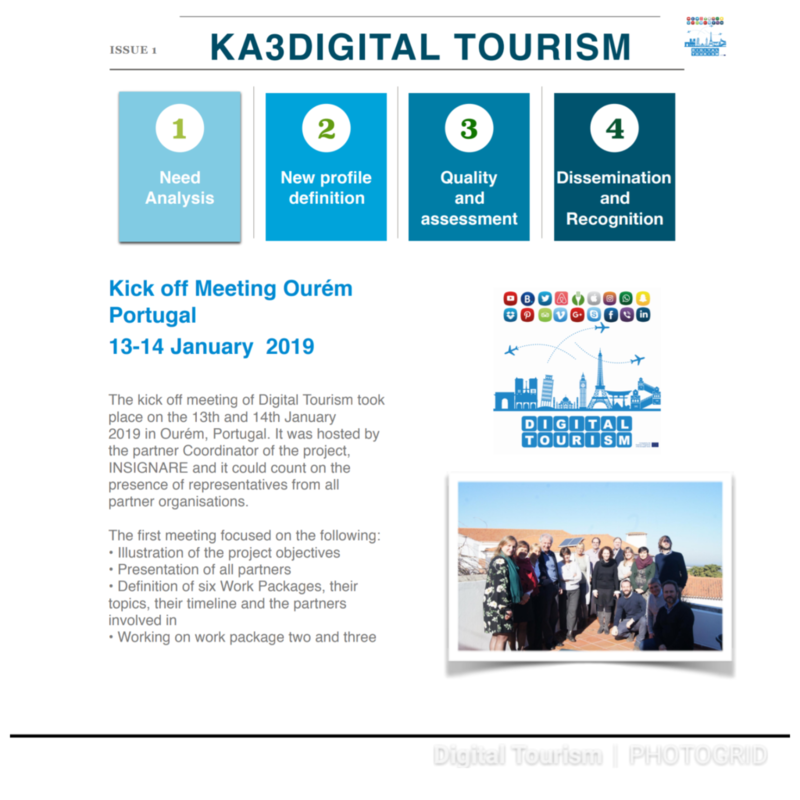 The kick off meeting of Digital Tourism took place on the 13th and 14th January 2019 in Ourém, Portugal. It was hosted by the partner Coordinator of the project, INSIGNARE and it could count on the presence of representatives from all partner organisations. Currently we are preparing our needs analysis and surveys around our new digital tourism qualification !